Place the breadcrumbs and milk in a large bowl and mix well to combine. Set aside for 5 minutes or until the milk is absorbed. Add the mince, egg, garlic, parmesan, oil, salt and pepper and mix well to combine. 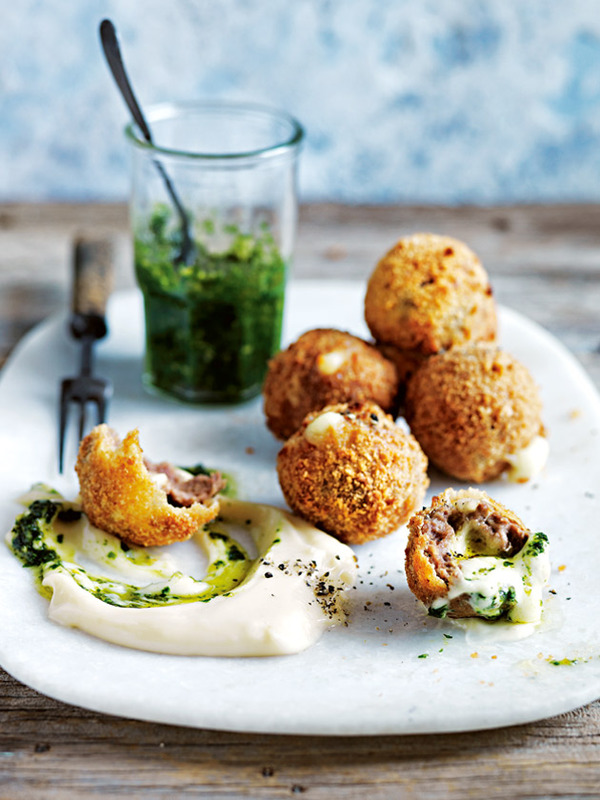 Using wet hands, divide the mixture into tablespoons, place a bocconcini in the middle of each and roll into balls to enclose. Toss the meatballs in the flour, dip into the extra egg and roll in the extra breadcrumbs to coat. Heat the vegetable oil in a large saucepan over medium heat until the temperature reaches 180°C (350°F) on a deep-frying thermometer. Carefully lower the meatballs, in batches, into the oil and cook for 5–6 minutes or until golden and cooked through.